Finding Standards Based Homework for your students doesn’t need to be a struggle. Each of the practice sheets provided focus on one standard at a time (or a component of a standard) that allow for additional practice. 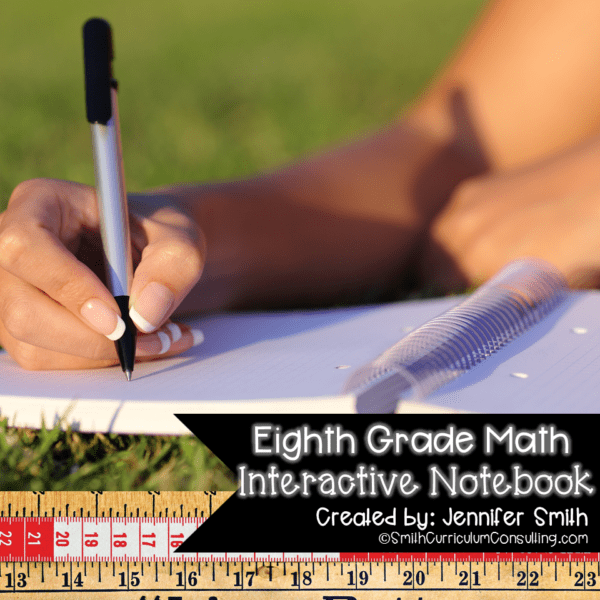 Students have open-ended problems to solve as well as a short answer questions on EVERY PAGE. These are perfect to use not only for homework but also bellringers, exit tickets, quick assessments, or just about anything! 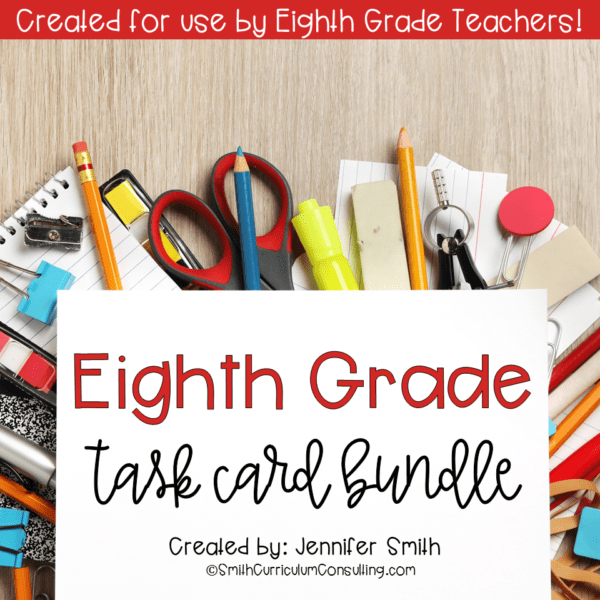 Are you looking for an EASY TO USE and quick printable to review each skill aligned to the math standards for 8th Grade? Never fear because they are here! 36 Practice Sheets (each have an I Can statement, room to show work, and a reflection component) sorted into the given strands (Number System, Expressions and Equations, Ratios and Proportions, Geometry and Statistics and Probability) *Currently 28 are included in the download. Upon completion of the final 8 homework sheets you will have access to a complete year. 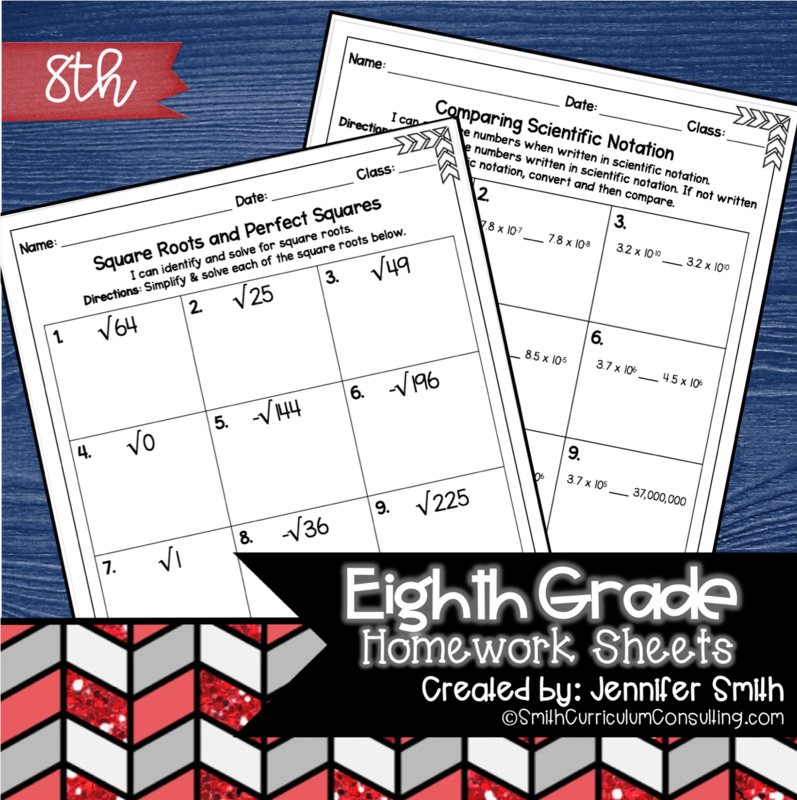 Interested in Sixth Grade Homework Sheets or Seventh Grade Homework Sheets for extra practice or differentiation? Check them out and grab them today!